The outbreak of meningitis that has claimed 11 lives so far has brought to light a little-understood segment of the pharmaceutical industry: compounding pharmacies, which make their own concoctions of medicines and sell them directly to the public. The steroid-based back-pain drug that has been linked to the outbreak was made and marketed by the New England Compounding Center in Framingham, Mass., according to an October 6 statement by the U.S. Food & Drug Administration. So what exactly are compounding pharmacies, and why are they allowed to make drugs and sell them largely outside of the bounds of the federally regulated drug industry? 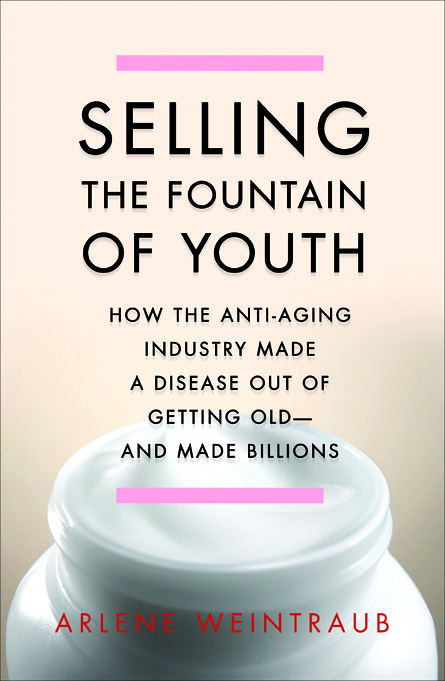 I found the answers to some those questions while researching my book about the anti-aging industry, Selling the Fountain of Youth. Compounding pharmacies have become high-profile members of the anti-aging industry, because they offer hormones, supplements, and other medicines often prescribed by anti-aging doctors. First, a definition of compounding: The traditional role of compounding pharmacists is to take ingredients from commonly marketed drugs and tailor them to the needs of specific patients. For example, compounders might turn pills into syrups for elderly patients who have trouble swallowing their medicines, or they might put a pain drug into a lollipop for a child with cancer. This is all perfectly legal. But over the last 15 years or so, a tangled web of conflicting laws and rulings has raised questions about what, exactly, compounding pharmacies are allowed to do. The problems started in 1997 with the Food and Drug Administration Modernization Act (FDAMA), which exempted compounders from having to abide by the strict quality-control practices that major pharmaceutical companies have to follow. Under FDAMA, compounding pharmacies also don’t have to seek FDA approval for the medicines they make, provided they use ingredients from drugs that have already been approved and that they don’t advertise their products. According to a recent report by the AP, the New England Compounding Center created the back-pain drug–a steroid called preservative-free methylprednisolone acetate–by combining a powder-based substance with a liquid. The pharmacy’s Web site says that drug and other products have been recalled voluntarily. The FDA does claim some control over compounding pharmacists. In 2002, the agency re-issued a “compliance policy guide” on compounding, which lays out several requirements. For example, the guide says the FDA can take action against pharmacies that make bulk quantities of compounded drugs in anticipation of receiving prescriptions–a major no-no for compounding pharmacies, which are supposed to make drugs in response to a physician’s prescription. The FDA re-issued the compliance guide in the wake of a Supreme Court ruling in Thompson v. Western States Medical Center–a case in which a group of compounding pharmacists challenged the advertising restrictions in FDAMA on the grounds that they violated their First Amendment rights. The Supreme Court agreed with the pharmacists, effectively striking down the compounding restrictions in FDAMA as unconstitutional. Ever since the FDA decided to take control over compounding by re-issuing its compliance guide, there’s been a war between the compounders, who believe their rights are protected by the Supreme Court, and the FDA, which believes it needs to protect public health by holding these pharmacies to strict standards of manufacturing and marketing. In 2009, when I was reporting my book, I visited an official at the FDA named Steven Silverman, who had dealt with compounding issues as an assistant director in the FDA’s office of compliance. I asked him what could be done to clarify and perhaps strengthen the restrictions on compounding pharmacies. “Congress can amend our legislation to make it clear what it is they want the [FDA] to do,” he told me. Or, he said, the FDA could petition the Supreme Court to revisit the issue. Check out the original Huffington Post item and reader comments here. Comments Off on Meningitis Scare: What are the Legalities of Pharmacy Compounding? Yesterday I discovered a kindred spirit—a woman who believes the risks of hormone replacement therapies for menopause do not outweigh the benefits. She’s Susie Hadas, founder and president of Personally Cool, a company that makes an innovative hot-flash reliever: Coldfront, a discreet, palm-sized disc that stays cold all day and can be whipped out and held against your face or neck for quick relief. Hadas presented her company to participants in Pipeline Fellowship, a program that trains female angel investors who are interested in supporting women-led businesses. Hadas had about five minutes to pitch her company to the panel of investors. Then she endured about 15 minutes of questions from the panelists, all of whom tried out her product with interest. Excuse the pun, but Hadas kept her cool throughout. Coldfront is environmentally friendly and hormone free. It’s available online for $49.95. And you can follow Hadas on Twitter @personallycool. Here’s hoping more female entrepreneurs will follow Hadas’ lead and come up with innovative non-hormone methods for dealing with aging. You can watch three excerpts from the show here. I was interviewed about my book on TalkRadio 630, Denver, on a show called “The Caring Generation.” The show was appropriately called “Fear of Aging and American Values.” Host Pamela Wilson asked me mostly about human growth hormone (HGH)–what’s been proven, what hasn’t, and why some doctors are determined to prescribe HGH as the fountain of youth. I was interviewed today on the radio show “Growing Bolder.” We covered everything from bio-identical hormones (a terrible way to fend off aging, in my opinion) to exercise (the best way to stay young). Just a quick update on Selling the Fountain of Youth: On April 18, I was featured for a full hour on “Wriggling in the Middle,” a show on News-Talk WHBC radion in Canton, Ohio. The conversation spanned a range of anti-aging topics, from supplements like resveratrol to hormone replacement therapy for menopause. Meanwhile, I’ve been pleased to see a growing recognition of anti-aging scams. As NPR recently reported, the Federal Trade Commission has asked the federal courts to halt the advertising by 10 companies that are using fake news sites to sell the supplement acai, which is derived from a Brazilian berry that supporters say can halt aging and promote weight loss. In its complaint, the FTC points out that many of the so-called news sites purporting to run objective stories about acai are fictional, as are the reporters those sites feature. Hopefully we can all continue to bring these false advertising efforts to light so fewer consumers will be fooled by anti-aging claims! I was proud to be one of 400 authors invited to attend the 2011 Tucson Festival of Books. I participated in a panel discussion on corporate malfeasance, along with Michael Blanding, author of The Coke Machine. The event was a success, and definitely a healing force for Tucson, coming just two months after the tragic shooting event there. It was only the third year for the Tucson Festival of Books, but it’s already the fourth largest book festival in the nation. Mice that ran on a treadmill a few times a week for five months fended off premature aging in nearly every organ of their bodies, according to a study published on February 21, 2011 in the Proceedings of the National Academy of Sciences. It’s one of the strongest pieces of evidence ever produced showing the power of exercise as an anti-aging remedy. New on HuffPo: Astaxanthin Makes Flamingos Rosy But Will it Keep You Young? Another day, another anti-aging phenom. The newest supplement to catch the fancy of folks who refuse to get old is astaxanthin, an antioxidant found in algae. 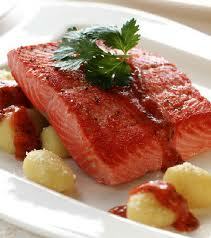 Astaxanthin (pronounced as-ta-ZAN-thin) is the compound that gives salmon and flamingos their pink hue. Proponents claim that in people, it has the power to reduce inflammation and oxidative damage to cells, which in turn preserves the eyes, skin, joints and central nervous system. Comments Off on New on HuffPo: Astaxanthin Makes Flamingos Rosy But Will it Keep You Young? Q: As a journalist, you have witnessed the apparent shift from trusting only medical professionals (the men and women in white lab coats who look like serious researchers) to placing implicit trust in celebrities. What do you think accounts for this? “Celebrity endorsement is hardly anything new in our society and has been used for many products. However, the anti-aging industry understands the power of marketing. Problems arise when the line is blurred between who are the ‘experts’ and people are confused.” Images speak volumes and often a well-crafted infomercial or television appearance grabs our attention in ways a medical journal article cannot. Celebrities are persuasive and for aging Boomers, it is difficult to resist the ‘proof’ offered by a living and breathing personality. Weintraub stresses the danger lies when people latch blindly onto aggressive treatment options. These options may work for one individual, but have not been scientifically proven for widespread or long term use.